As I peruse my social media, one thing is coming up over and over again…and that is that my friends and family are starting to post that they are expecting big changes in the coming year. As we move towards a new year, we can decide if our current methods are working for us and maybe whether it is time for some new tactics. I know how that feels. Even before we were called to the meeting where they told they were “exploring cost-saving options”, I could feel the need for change in my life. A change that would ripple through my whole life and not just my career. A change that will help me to feel joy daily and positive about the future. I was not sure how to achieve what I wanted. All I knew for sure was that whatever I had been doing was not giving me the results that I wanted. If you are feeling the need for a change in your how you feel about your future, but are not sure how to get started, check below and see if any of the following resonates with you. We will look at solutions in part two. Yes, a blanket statement, but legitimate none the less. Many people I know were raised by people who were also feeling a bit unfulfilled about their lives. And it is likely that our caregivers were also raised by people who felt a bit lost. This is no one’s fault, it is just a by-product of the progress of the world. As people moved away from large family homes on farms and homesteads, and into living on their own in larger urban centers, they became fragmented from their support groups. They started making big decisions without help, and as a result, taught themselves how to live without their intuition; as well, we did not learn how to cope with failure when we tried new things. Making decisions became more about “feelings” and less about facts and who we are as individuals and our own personal strengths and weaknesses. Each of us has our own specific characteristics and capabilities. Our intuition directs us to use our skills for out own best interests. Moving to urban centers put us in the position of having to take work in places that were not right for us, even though they offered benefits and steady pay. Suddenly life was about a “career” and less about our own personal skill set and how it can benefit the world. Takeaway: To find ourselves we need to tap in to who we really are. Not the person we formed ourselves into to fit in with the world in middle-school, high school, college and work, but who we were born to be! PIN IT!! 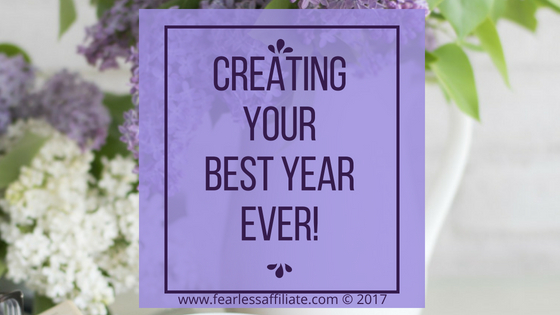 Creating Your Best Year Ever! An important part of anyone’s life is having supportive people to cheer us on, or help us learn from defeat. These days, defeat seems to equate to FAILURE, which in turn leads to less self-esteem. Self-esteem is what we think about ourselves, not what others think of us. However, without the support of people who care about us, we rely more on what random others think of us and this pushes us to fit in with this “norm”. This does not serve us or the world. If we are so wrapped up in what the world thinks of us, we are not focusing on what we can give the world. We fall lock-step into line in jobs and careers that eventually make us unhappy, as we are not doing what we are meant to do. Our lives are now based soley on survival and keeping up. Takeaway: To improve our self-esteem we must learn to love ourselves and any perceived faults (height, weight, finances, mistakes or blunders). From this self-love and self-care we will discover what really gets us excited about life and then we can start to look at what needs to change so that we can achieve our dreams. Note: This can take some time depending on how “lost” you are. 3. We do not understand how unique and wonderful we really are. In this world, the world of 2018, we are forced into little boxes that define who we are. Beautiful vs non-beautiful. Talented vs non-talented. Rich vs poor. And every time we discover that we are different from the crowd, instead of cheering this and working with it, we try to change it and ourselves to “fit in”. This is not good for anyone. A quick read of the most successful people will show you that not only did they consistently believe in themselves and their dreams even when others did not, but they also did not give up. Henry Ford failed so many, many times before he was successful with the automobile and successful with mass producing it for the public. If he quit because no one else believed in his vision, would we have the world that we have today? Henry Ford created a way to give his creation to as many people as possible thanks to creating an assembly line! Thomas Edison made thousands of unsuccessful attempts at the light bulb before successfully inventing it. When asked about his thousand failures, Edison said that they were not failures, but 1000 steps to success! What a great way of thinking! What both of these men had in common was a determination to bring their dreams into the real world. They did not care about the many times they were not successful, because these so-called “failures” gave them valuable feedback about what does not work, so that they could try again with something new. Takeaway: This is a big one. We must learn how to forgive ourselves, our past mistakes, and judgments and move forward with this information. 4. We took advice from people who did not have to live with the consequences. So many of us who are “lost”, are lost because we took wrong advice from people that we trusted. It is not that they are sinister in their advice-giving. It is more about us not knowing ourselves well enough to say “Thank you, I will consider that” and then doing what we think is right for ouselves. This is especially true of us when we were young. Sometimes people say nasty things because of where they are in their lives. They are unhappy, so the spread that unhappiness to us. Whatever the reason, we held that hurt inside. Later, if someone else says something sort-of, kind-of similar we piece together that we are unworthy in some way. This undermines our positive feelings that we have about ourselves, and we form the idea that we must adapt or constantly change ourselves into someone that we are not or we will be failures. However, we cannot do what is right for us if we do not understand who we are deep down inside. Takeaway: We must learn to trust our own judgment and intuition, and who we really are inside so that we can take what works for us and reject what does not work, regardless of who gives the advice. Bottom Line: If we want different results, or to stop the insanity, we must change what we are doing. It may take one attempt or many, and the feedback we get will help propel us into a new, more personal future. In part two, I will list some of the self-help processes that I have used to implement change in my own life and move me toward the life that I want. You will find this same advice in various forms on many websites, but I am just putting together what I found that worked and more importantly, why it works. See you in part two!! Great post and very inspiring. New Year is always a good time to restart and remotivate. Thank you for the great insights. it’s a new world I am discovering and sometime it’s tough. I always follow my intuition and own judgement, and till now I can say that was the right thing (the best) I did in my life. I wish you all the best in 2018 and beyond! It is the ones who stay true to their goals and keep learning about their niche that will survive…”you got this” is my mantra for the coming year! This is a very inspirational post. And it is just in time for the coming new year. I am determined to make the most out of 2018 and you have provided even more motivation. What you said in your bottom line was spot on. People can’t keep doing the same thing and expecting different results. Thanks for this awesome post. Tragically this has been my mistake in the past. But I am over it lol. Now I am motivated by helping others and this website is just a part of that. I think affiliate marketing can help many, many people and I am glad that so many of us are in it for the long haul, but this is just the tip of the iceberg for me, and I think that is true for most of us at WA. Awesome post, Irma. You are so on target and I loved, really loved your “takeaway”. So true on so many levels. I still struggle with believing that I can do this but I am holding my head high and faking it until I make it. I think some of our best and worst decisions come from not thinking things thru completely or jumping in with both feet. I say best and worst because some of the best ones are those we do jump into and just do it! I am starting my 2018 with new challenges and determination. 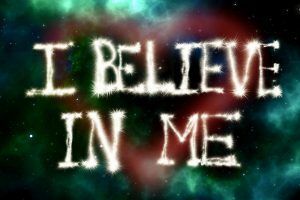 It is time to be me believing in me and just keep on keeping on. I thank you for such an awesome and uplifting post. Perfect timing Irma, perfect timing. All the best to you in 2018! Happy New Year Merry! And thank you for your positive comments! I wish you all the best in 2018 and with your future successes! I have struggled all my life to find what I was meant to do. I gravitated to books about writing and tried many times to write “my” novel or whatever, but I had no confidence. I can see now that I needed to clear out the voices in my head that say “I can’t” or “that won’t work” and get to who I really am deep down inside. Once I silenced those voices, my choice was clear and it came together with no real effort on my part, so I know for a fact that I am moving in the right direction. For anyone who is searching for their place in this world, I will be offering suggestions in my next post, and these are all things that you find in the self-help community. Sometimes it takes something like a job loss or death in the family (or, in my case, both) for a person to hit rock bottom and make them willing to try anything. I did, and I have learned the tools so that I will always be in control of my life. Creating the best year ever starts with one of my favorite quotes as an entrepreneur…The definition of insanity is doing the same thing over and over and expecting different results! I always like to try new things because if I didn’t I would never know if it would work or not. Hello and thanks a million for sharing this inspiring post that is so unique and amazing. I believe that what you have written will encourage so many in the upcoming year as they really take stock of their lives. Your post serves as a guide an will cause many to make the positive changes that need to be made in order to make it the best year ever. I really hope so, because I spent two years searching for how to change my life and feel better about my future. I know that no matter what happens to me, I can pick myself up and make my life whatever I want it to be! Super article with a lot of good information especially for a person like me who is bit to affiliate world.this article is really great…superb work… keep it up.. Thank you for breathing some hope into my new year! I especially relate to the part about leaving a homestead setting for a metropolis setting. I grew up on a working cattle ranch and now live in a city…there is nothing here that can replace the value of living and working together with your family every day. I agree! Just knowing that you have someone to watch your back and help you with the big decisions is invaluable. I have been a bit of gypsy in my life and made all my decisions on my own. It would have been nice to have the wisdom of family during some of those times.